It’s interesting how God works, don’t you think? I’m in the process of writing a new novel where the main character suffers from depression and is suicidal at one point. Sounds depressing but it really isn’t! 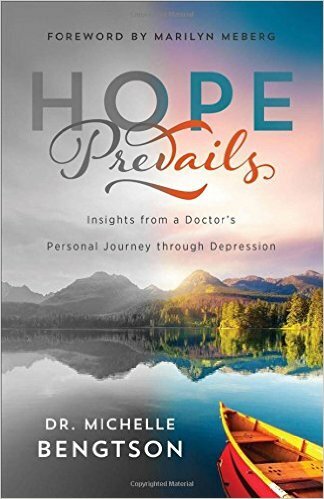 So when I had a chance to get a free copy of Hope Prevails: Insights From A Doctor’s Personal Journey Through Depression, I took it. This is not a medical book but a spiritual book. Dr. Bengston (author) shares her own spiritual journey as she suffered from and overcame years of depression. This is a great book to use as a Bible study and, in fact, that’s exactly what I’m doing right now. It’s as if Dr. Michelle Bengston and I are one and the same. A lot of what she talks about in Hope Prevails that helped her is exactly the same things that have helped me deal with my brain tumors for the past four years. It’s great to get some validation! Imagine being a doctor who works in the mental health area and realizing you have depression and the treatments you prescribe to your patients aren’t solving the problem completely.Dr. Bengston shares her journey through the valley of darkness known as depression and how God was right there with her. This book is filled with practical information to help others get through their own valley. I highly recommend this book! For anyone whether you suffer from depression or not. This book will boost anyone’s mood and self-esteem. and I’m pretty sure we could all use that! This is not a medical book but a spiritual book. NOTE: This book was given to me in return for an honest and unbiased review. 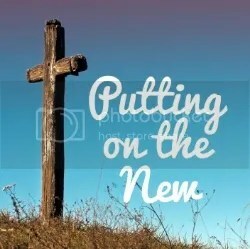 Hope is always is a heart and soul thing…………and it acts as the best medicine; I think that is why you have written “It is not a medical book but a spiritual book. Hope comes from spirit but sooths heart, mind and body also. This is true and I think they’re are so many without hope these days. Thanks for your thoughtful comments.